Dr. Cole was born and raised on Long Island, graduating from St. Anthony’s High School in 2001. He did his undergraduate training at Long Island University/C.W. Post campus where he also played four years of collegiate basketball winning the Nassau County Sports Commission College Athlete of the Year award in 2005. He worked in the medical and dental sales field for one year before deciding to pursue dentistry. 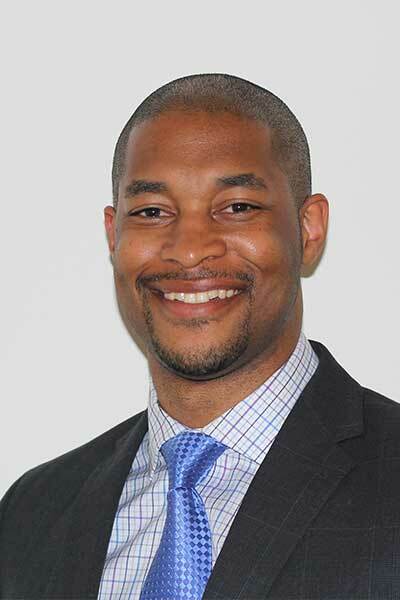 After spending four years in Washington D.C. and graduating from Howard University’s College of Dentistry he returned to Long Island for his residency in Oral and Maxillofacial Surgery. Dr. Cole has served as chief resident in Oral and Maxillofacial Surgery at Long Island Jewish Medical Center, Stony Brook University Medical Center, and the Northport Veterans Affairs Medical Center. Dr. Cole has had extensive training in outpatient dentoalveolar surgery, bone grafting and implant surgery. He’s also had extensive training in hospital based maxillofacial surgery including trauma surgery, reconstruction, orthognathic surgery, and the treatment of pathologic diseases of the jaws. His training has included using the latest computer software for advanced treatment planning and computer guided surgery. Dr. Cole continues to stay active, playing sports and traveling. He currently resides in Westbury, NY with his wife.